two to three months ago, after the Spyder Surge, my wish to own a bike has intensified. i have always liked biking, i remember owning a mountain bike before when i was in high school, but it was stolen from the flat that we lived in at muscat. Three days ago, my new mountain bike (which i call Ventus) has arrived. it is a 26er Cannondale Trail 5 – and i simply love it! 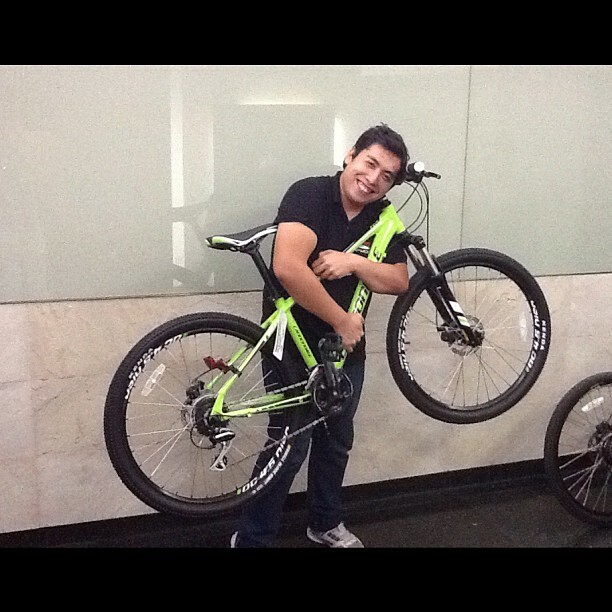 i took it out for a test ride with my officemates around kapitolyo and back, then brought it home. Earlier today, i brought Ventus to the Fort to test his mettle. it was a fun ride amidst all the ascents from signal to heritage up until fort bonifacio. it was a steady ride even though cars have been hastily passing by. i even had an encounter wherein a truck passed by so fast, that i felt i was given a pull towards my descend to mckinley. after arriving to the office (scarred, tired, and a bit miffed! ), i decided to bring the bike to All Terra-Libis to have it fixed! their crew was so helpful that they did everything they can to ensure that i’ll be able to bike tonight with my officemates. they even went the extra mile by giving me water while i wait, and hailing a cab for my return trip back to the office. now my bike, ventus, is as good as new, thanks to the awesome guys at All Terra! we are all set to go for the night ride later on! Here’s to many more adventures with you Ventus! 2. Like All Terra for bikes, and parts that you may need to enhance your biking performance.